I used to read myself to sleep so I wouldn’t lie awake in the dark, thinking about every embarrassing thing I had said that day. I hadn’t always been this way. As a young child, I was very good at being alone. I started teaching myself to read when I was 3 years old. I watched musicals on VHS that sparked my imagination. I sang ad-hoc songs to go along with the story I was living that day. Once I started reading books, I read them to my stuffed animals. When I started primary school, I was rewarded for my participation (a.k.a. talking) every day. So, I talked a lot. And, as years went on, I talked more and more. I started to dread both school and being alone because my over-participation constantly mortified me. I described myself as “painfully extroverted.” I walked through life embarrassed to be myself. Once alone, I would replay awkward interactions in my head. That’s when I started to use reading as a coping mechanism—to block the memories of the day. Years later, after college was over, I spent over a year mostly alone, in quiet, and learned to love being alone again. I taught myself to play guitar. I started jogging, at first for exercise, then because it stimulated my imagination. I read articles and reflected on how they fit with or contradicted what I thought I knew. I started to religiously read and re-read The Tao of Pooh by Benjamin Hoff. Instead of shutting out painful experiences, I pondered them, writing over and over again about why they hurt until I understood them. And understanding led to healing, acceptance, and growth. I grew to understand myself in a more complete way than ever before. And still, I hadn’t let go of my identity as an extrovert. I learned a lot from the contrasts of those experiences. That tool of self-reflection that I learned in quiet was much more powerful than reading away the memories ever was. I realized that the source of my pain during overwhelmingly social situations, like school, came from how outwardly focused I was. I was always thinking of what the right thing to say was. I was thinking of how to respond. And that was exhausting all my energy, which led me to be less thoughtful in how I engaged. I wasn’t taking care of myself in social situations, so I wasn’t representing myself very well either. I’m not actually “painfully extroverted.” And I’m not totally introverted either, as anyone who knows me will tell you. But through listening to my pain, I learned that I often get a lot more out of listening than participating. Sometimes, I’m the center of attention. And sometimes, I keep more thoughts to myself than I share. And I don’t have to read myself to sleep anymore. Always a huge fan of linking to bloggers that I adore but do not get a good deal of link adore from. Just beneath, are many entirely not associated web-sites to ours, however, they are surely worth going over. no means understand. It seems too complex and very wide for me. Hello, I want to subscribe for this weblog to obtain hottest updates, so where can i do it please help. glad to convey that I have a very just right uncanny feeling I discovered just what I needed. I read the Tao of Pooh at a very painful and difficult time in my life. It was so soothing and just what I needed. After reading this article I am going to read it again. I often over participate or over talk too. What I came to realize is that social situations make me nervous and so I over compensate. It’s a joke in our family that I can socialize for an hour and then after that I say stupid things. Being mindful before I get in these situations helps. Taking purposeful listening breaks and asking other people about themselves helps too. Totally Relate! I love listening and many times find myself literally putting my hand over my mouth to remind myself to not speak. ZIP up the lips! Not always socially graceful but the kinesthetic action seems to work best for me. I hear you! So often have I sat with a group of people who I consider to to be smart, confident and knowledgeable and in an effort to make a valid contribution I have over-shared. I read these articles on QR and find more and more I’m not a freak of just one, but someone who is wired up in a similar way to half the population! I can still make an impact but it doesn’t need it to be in the way I thought was expected of me. 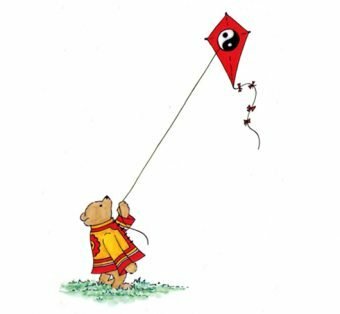 The Tao of Pooh seriously changed my life when I read it at age 12. I’m glad to hear it had a good impact for you, too! I identify with this story! I often obsess about embarrassing ways I’ve behaved (generally centered around being more outgoing than is truly in my nature)… and I’ve struggled with the shame that accompanies dwelling on these experiences. I am starting to accept that I don’t have to be entertaining, I don’t have to have all the answers, and I don’t have to participate in groups if I don’t want to. Forcing myself to behave against my nature has been very painful and hasn’t gotten me anywhere… being really honest about my preferences always leads me down the right path. So, I can work on forgiving myself for behaving in ways I’m not proud of (being loud and putting on a show) and develop habits that are more in sync with who I really am. Thanks for sharing! It’s good to know there are others out there working on this too!